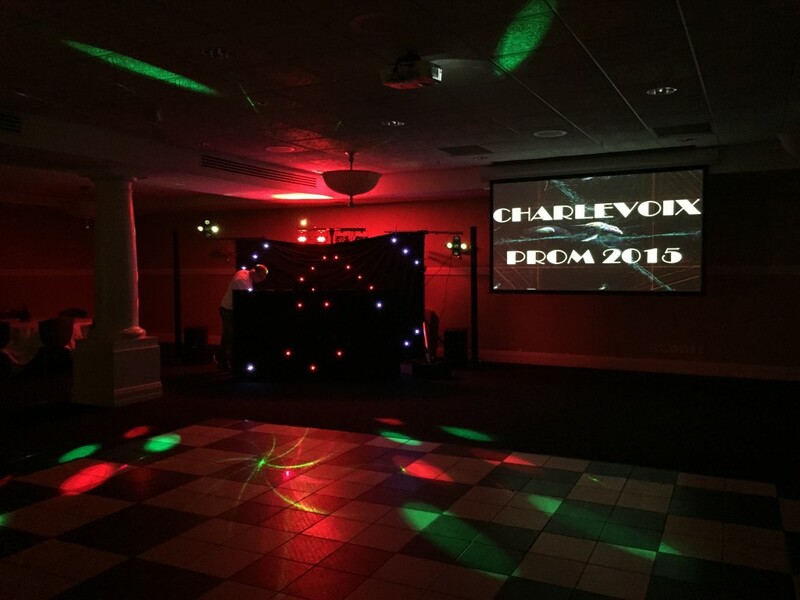 This weekend DJ’s North was hired to DJ the Charlevoix High School Prom at The Inn at Bay Harbor. We used both Bose L1 M2 towers with 2 B2 subwoofers. In addition, we had our upgrade lighting package which included our new LED backdrop and booth cover as well as video presentation. 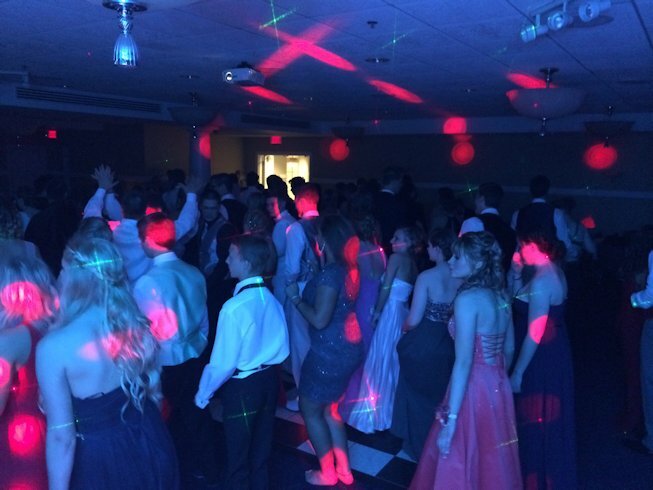 This past Saturday marked the start of another busy wedding season for DJ’s North. This year we started at the always elegant Stafford’s Perry Hotel in Petoskey. The ceremony was held at St. Matthew’s Catholic Church in Boyne City with the reception in the Rose Room at the Perry Hotel. This wedding was also the first using the new BOSE L1 Model 2 speaker system and it sounded amazing! I used both pair of sets. This means I brought 52 speakers to the event! The sound carried the room perfectly through dinner and stayed well-confined to the dancefloor once the music got going. DJ’s North still has some availability for this season! Feel free to call us at 231-881-0324 or e-mail us here to see if your date is available. Here are the most requested songs from 2013. 86 Cyrus, Miley Party In The U.S.A.
74 Cyrus, Miley Party In The U.S.A.